"A real artichoke of a story.... As it unfolds, the documentary offers revelations that shade and complicate the issue, and demolish the seeming simplicity first suspected.... Neither story is particularly pleasant, but both are invariably fascinating. And sometimes frightening." 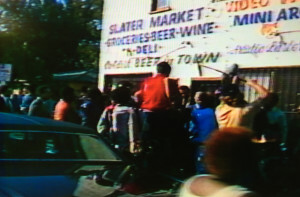 "The 'warnings' sounded by this stunning documentary should ring loud and clear across the country"
A probe of the feud between a Los Angeles gang, the Bounty Hunters, and a septuagenarian businessman, James Hawkins, Sr. Hawkins turned his family’s home and grocery store, located in the Watts section of the city, into an armed camp after his son shot and killed a gang member from the projects across the street from the store. Gang members had made repeated robbery attempts at the store, but the situation erupted after Hawkins Sr. and his son attempted to stop a street robbery of a mother of three; the son struggled with a sawed-off shotgun and shot and killed a gang member. The gang retaliated, armed and shooting, and the Hawkins family returned fire. Another Hawkins’ business was firebombed. The police intervened and Hawkins’ son was charged with murder. 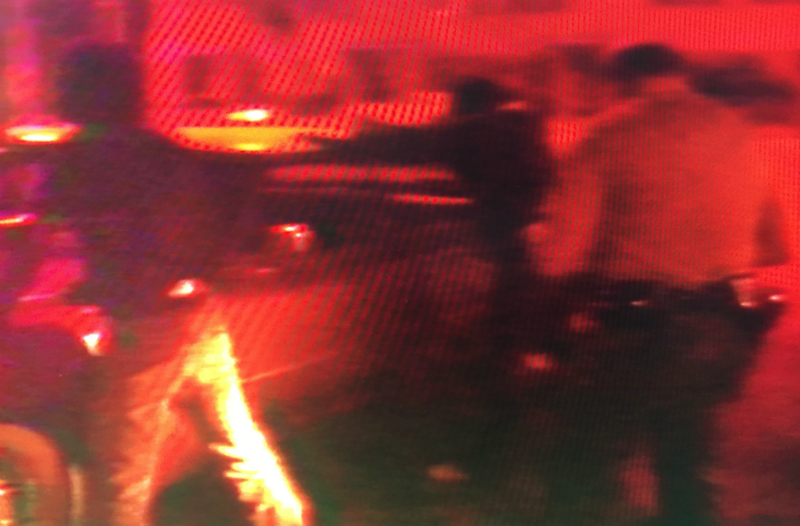 Drew Associates picks up the story as several gang members are jailed and the confrontation heads to the courts. “Warning from Gangland” is the first of two Frontline programs Drew produced on the story. The second part, “Shootout on Imperial Highway,” explores life in the projects that feeds gang violence. In an interview with Eric Mankin of the Los Angeles Herald Examiner, Drew said he was at a loss to explain or understand gang violence. “It’s clear law and order can’t solve the problem,” he said. Drew was eager to begin filming the second part of the story because he wanted to get inside the mentality of gang members, to hear them describe the pressures of growing up in the projects that turned so many young people to violence. Drew was able to film interviews with some residents of the Nickerson Gardens project, but he felt frustrated he wasn’t getting a full picture. “The thing that interested me was how they could hold together this point of view in which they’re the good guys and the victims are to blame,” he said.